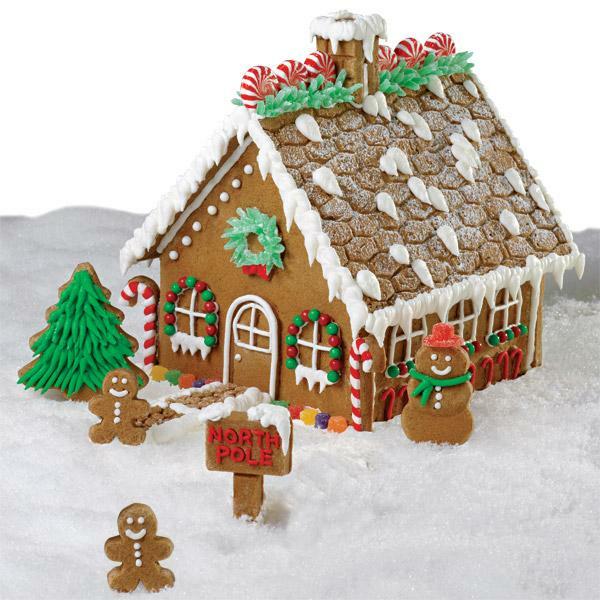 Creating and designing gingerbread houses is a fun and classic holiday activity. It can also — let’s face it — be messy and time-consuming, what with baking the pieces for and constructing the house, gathering all the needed supplies, and having an area in your home that you don’t mind getting a little frosting-spackled. 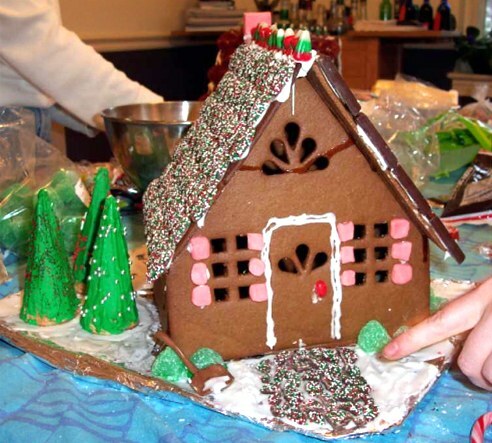 The clever solution for would-be gingerbread architects who are a little short on time and materials? Find a spot that supplies all the needed ingredients and merely requires you to show up, be creative and pay for what you use. 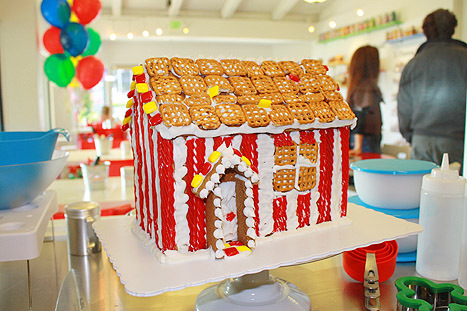 One such spot is San Francisco and Mill Valley, CA’s Gingerbread Builders, which offers standard and custom houses and everything you need to create stunning ones, including catalogs for inspiration, staff assistance, plenty of time and all manner of frosting and candy decorations. And best? It’s open every day on a drop-in basis. 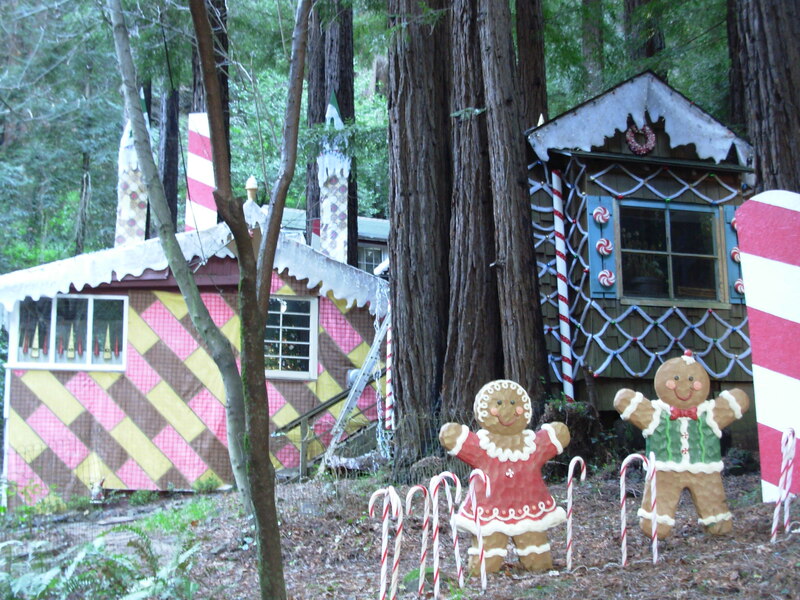 Other Bay Area spots offer gingerbread house workshops at specific times. 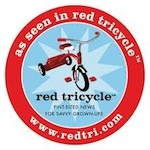 These include the Bay Area Discovery Museum in Sausalito, Cake Art in San Rafael, Autumn Express in San Francisco, and Spun Sugar in Berkeley. 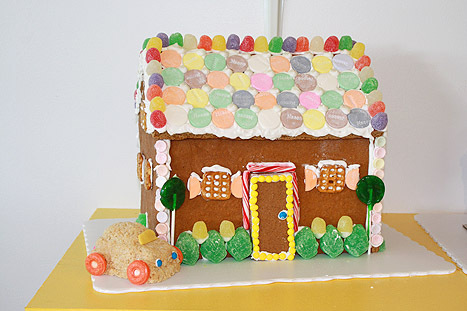 Across the country, in Lexington, MA, Wilson Farm offers a gingerbread house workshop on a historic farm that features lots of other fun activities. 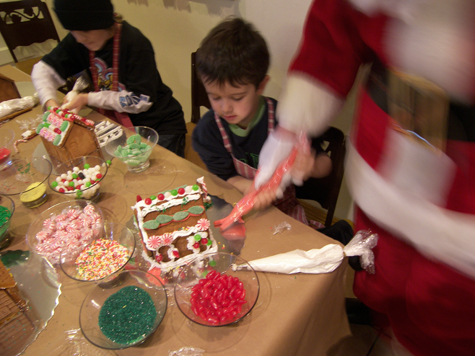 In Newton, MA, Create a Cook has a two-part gingerbread house workshop, in addition to other kids’ cooking classes. 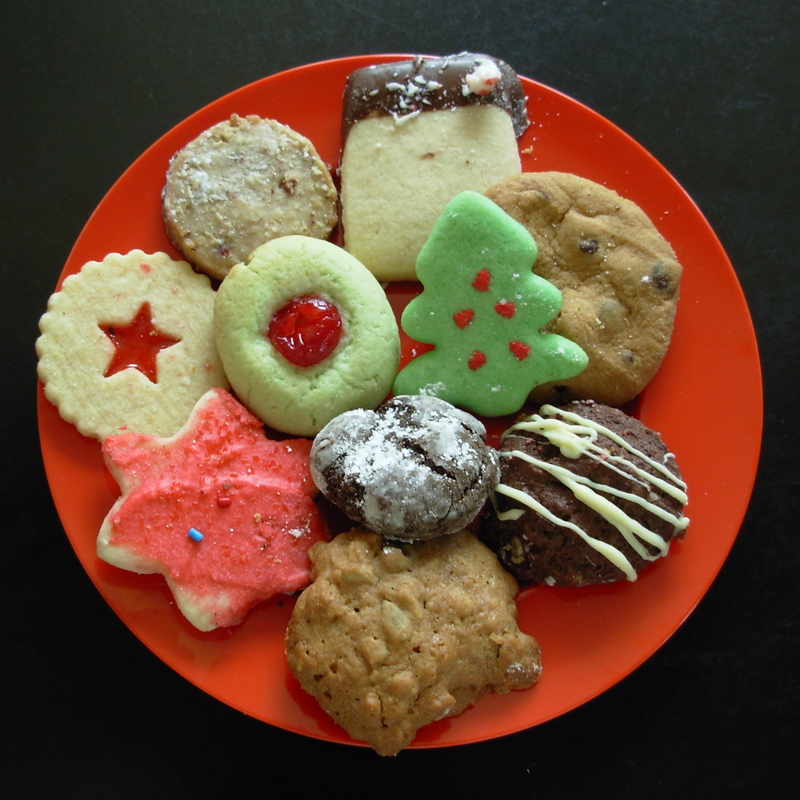 New York City’s Taste Buds offers lots of gingerbread house and holiday cookie workshops. 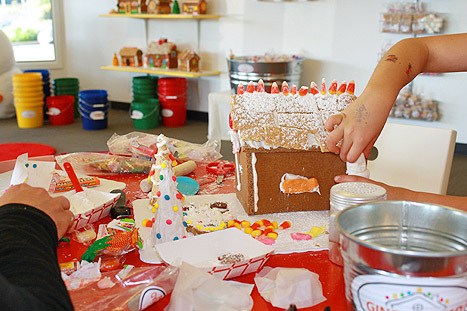 The Creative Discovery Museum in Chatanooga, TN, has gingerbread house workshops. In Camano Island, WA, you can decorate a gingerbread house at the Cama Beach Nature Preserve with Gingerbread Lady Alice Blandin. Seeking a larger project? This person in my town transforms their house into a lifesize gingerbread house each year! So, whatever your taste, time allotment, budget and desire, there’s a gingerbread house project for you, and a place to create it! 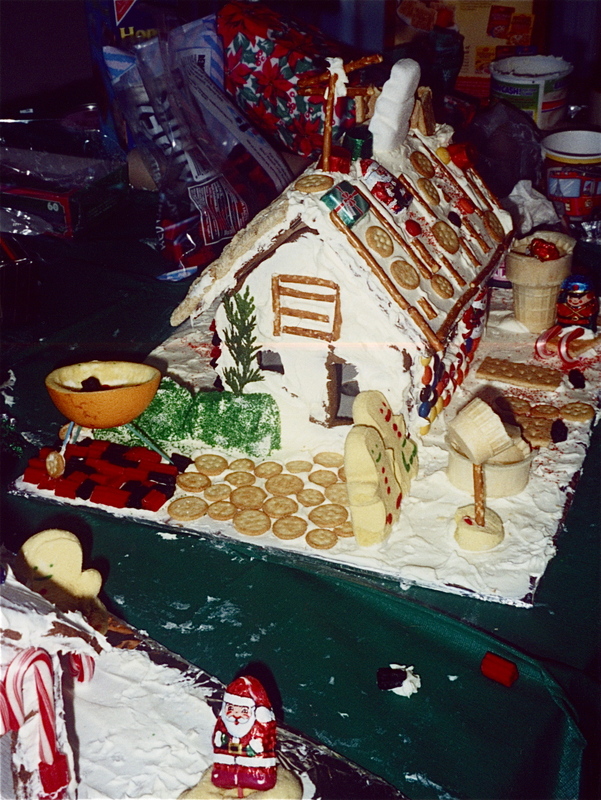 For more ideas and how-tos, see my earlier post about Constructing and Decorating a Gingerbread House. Have fun! 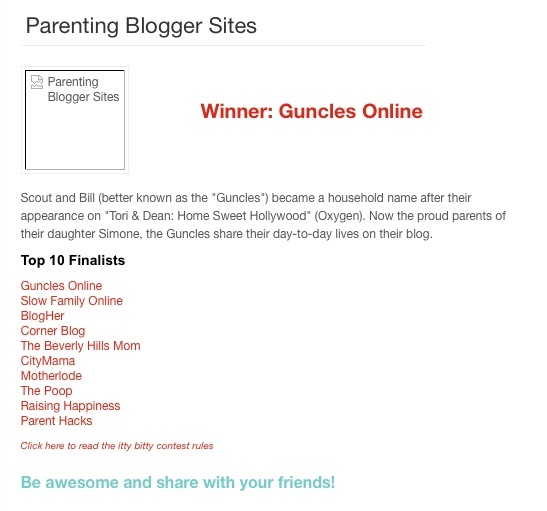 Posted in Butter and Egg, Community, Crafts, Holidays, Home Ec. I grew up making these. 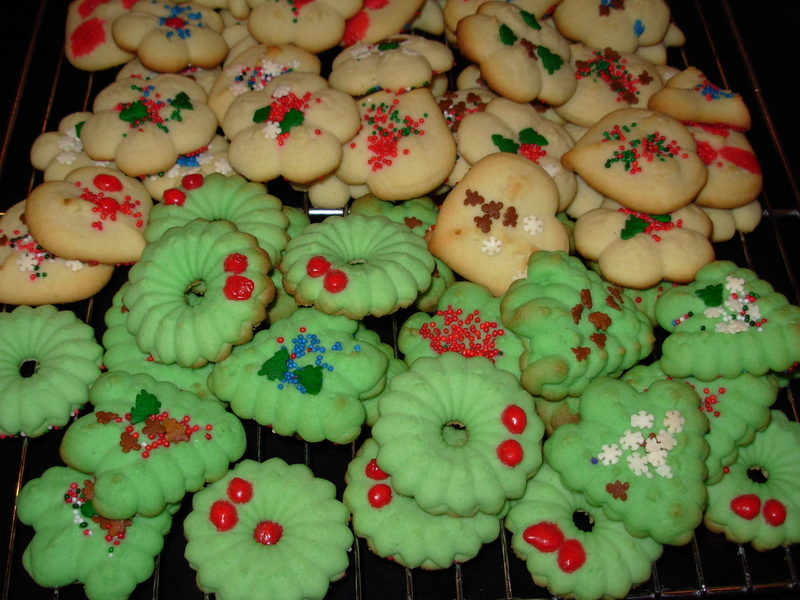 In fact, my mom really enjoyed making Spritz cookies and Halloween cupcakes. A certain whiff from an electric beater (she had a great, big Hamilton Beach one that was permanently on the counter) takes me right back to childhood winters and falls. One more from the Silver Palate team — This one is in The Silver Palate Good Times Cookbook: Sugarplums. 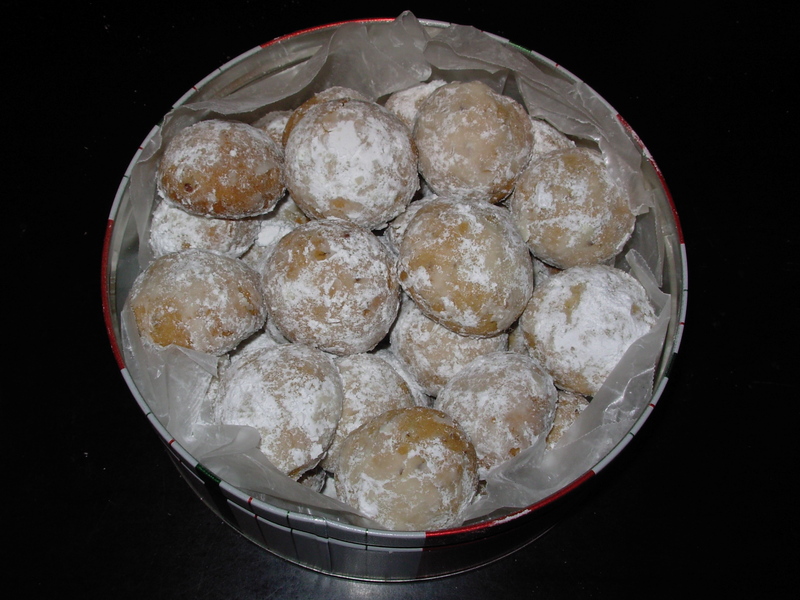 Mythical, festive, evocative Sugarplums. (Blame it on The Nutcracker and The Night Before Christmas.) 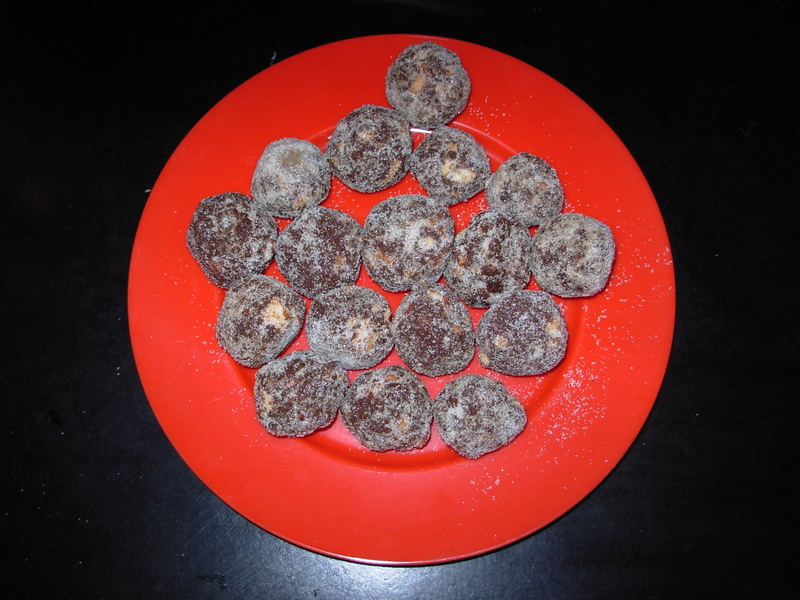 They are certainly as much fun to pop into one’s mouth as they are to contemplate. The original recipe calls for corn syrup and cognac. I substituted agave syrup, a mild and more natural sweetener for half the corn syrup, and all of the cognac (using a little under 1/3 c. for the cognac portion.) And I did away with the cherry on top, the better to enjoy the pure, undiluted Sugarplum experience. My criteria for a green holiday gift? Items meet all or most of the following: Promotes nature play or care of the earth, Uses all or mostly natural ingredients, Fosters hours of open-ended creative play, Doesn’t use extraneous plastic or other wrapping, Doesn’t break the bank to buy it. 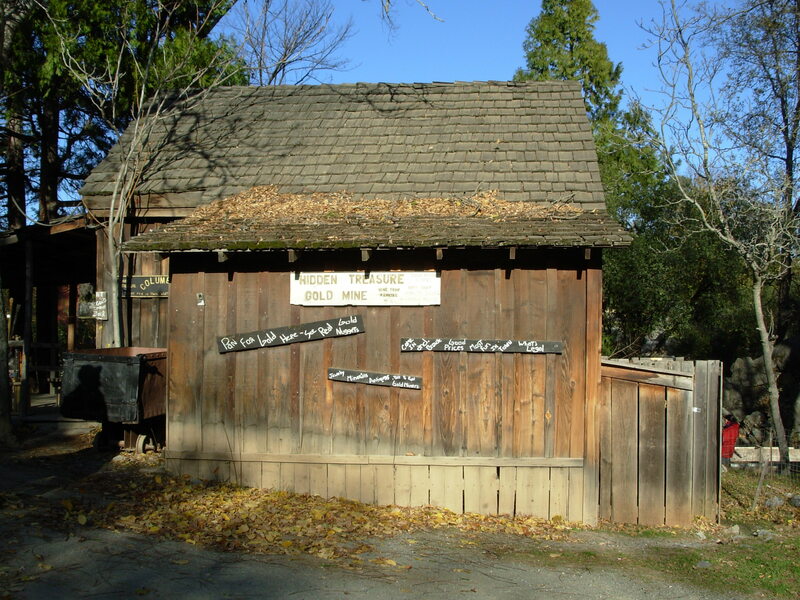 Columbia State Historical Park, part of the California State Park system was the place to be during the California Gold Rush and it is the place to be more than 150 years later, perhaps especially at holiday time. 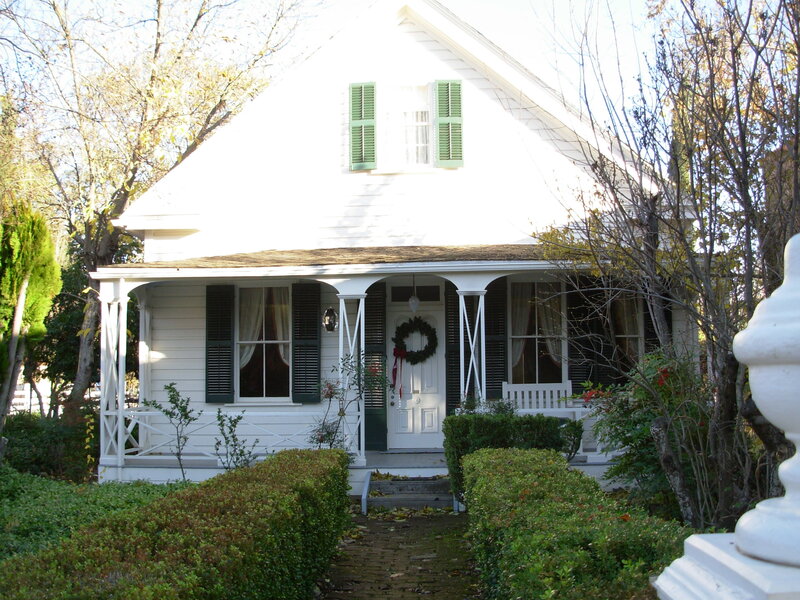 That’s when this living historic town, just three hours from San Francisco in the Sierra Nevada foothills, puts on its lights and decorations, hosts a passel of events, and perhaps even provides a little snow, as it already has this season. 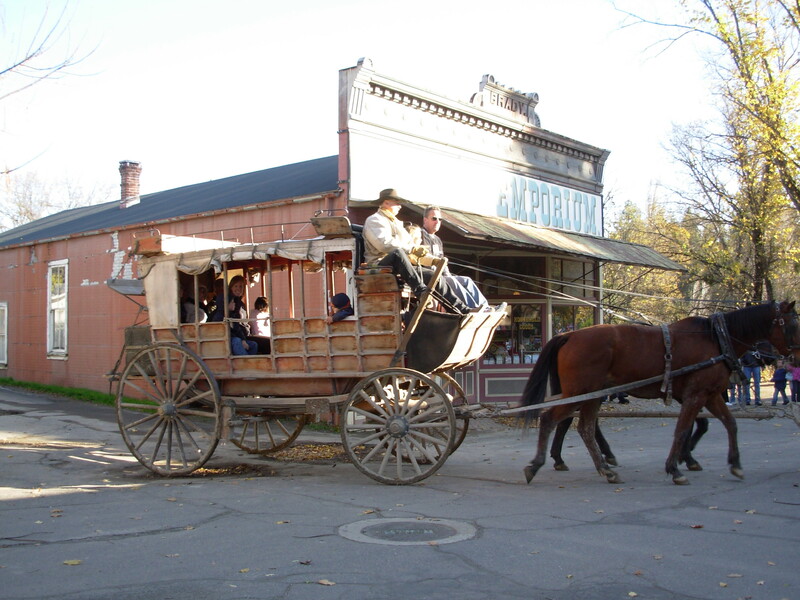 This special town, in which you literally step into history, offers costumed docents year-round, along with shops and activities, such as tours, mining cabins, gold panning, a working blacksmith, and stagecoach rides. 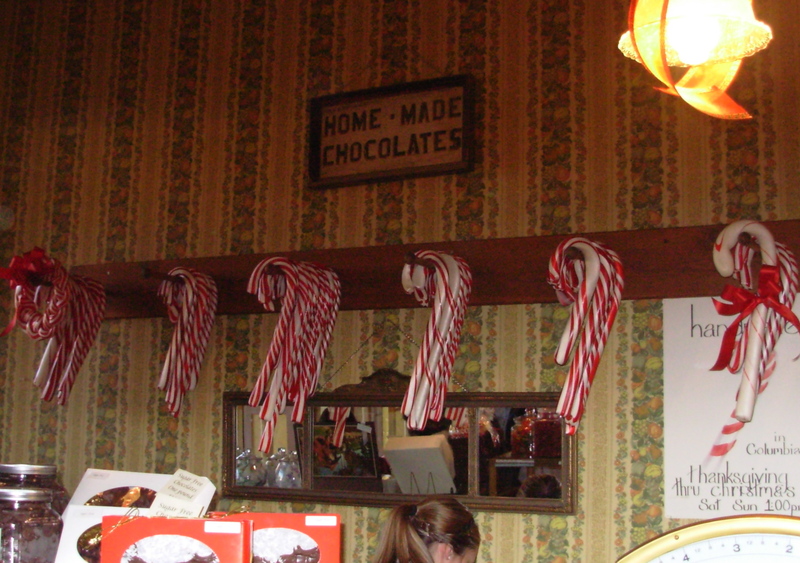 Miners’ Christmas, Sat and Sun., December 12th, 13th, 19th and 20th, from 1-4pm each day. Miners will roast chestnuts, make coffee and cider, and tell stories around a campfire. Participants can partake in classic Christmas crafts and a visit by Father Christmas. Merry Merchants, Fri. and Sat., Dec. 11th and 12th, 5-8 p.m.
Shops are open late in what is a complete antidote to the modern mall. Free carriage rides are offered on Main Street. Carolers sing and storytellers perform. Guests can warm themselves with roasted chestnuts, gingerbread and other specialties, and enjoy a visit by Father Christmas. Equestrian Parade, Sun., Dec. 13th, 11 a.m.
Las Posadas Nativity Procession, Sun., Dec. 13, 5 p.m. Enjoy this Spanish tradition that re-enacts the Biblical story of Mary and Joseph’s search for shelter in Bethlehem on Christmas Eve. The procession is a 25-year Columbia tradition which features many costumed townspeople, from Bibilical as well as mining-camp times. Luminaria and candles light the way for the special evening parade and performance. For more information, visit the Columbia State Historical Park web site.